Enjoy your dory fillets with a creamy flavored sauce and sofrito! This creamy dish made with Knorr Ginataang Gulay and Knorr All-in-One + Meaty Seasoning will definitely brighten your holiday gatherings. 1. Season fillets then dip in flour. Shake off excess then dip in beaten egg and breadcrumbs. Chill. 2. Saute onions, garlic, and tomatoes in oil. 3. Add Knor All-in-1 + Meaty Seasoning and fresh basil. Set aside. 4. 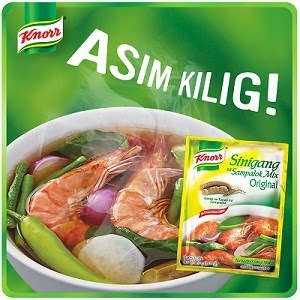 Bring to a boil Knorr Ginataang Gulay and water. Reduce heat to a simmer then add cream. 5. Add cheese then season with salt, pepper, and nutmeg. 6. Deep fry dory fillets until golden brown then arrange them on a platter topped with the cream sauce and sofrito.